Amazing. Another beautiful day on top of the Carinthian mountains. 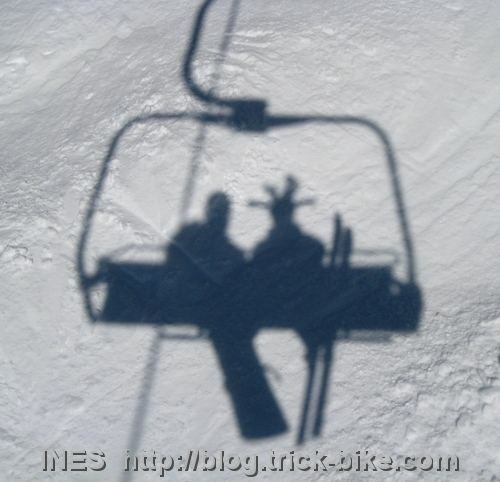 Here is our shadow of us in a chair lift. I think that looks like 2 birds. 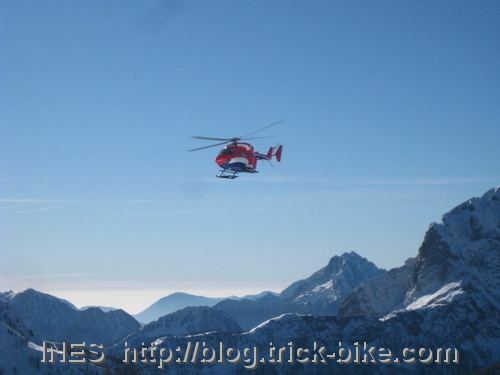 During our lunch we heard the helicopter come to the ski resort. And that is usually a bad sign. 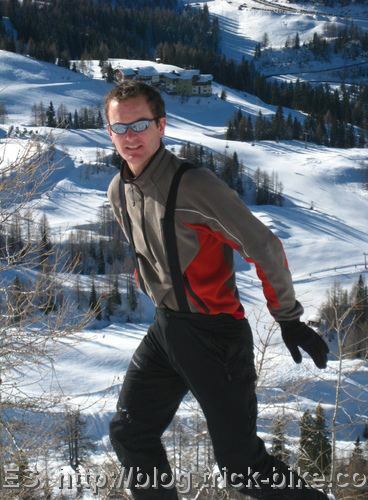 We were not sure if he was actually picking up an injured person as he was first flying around the whole resort. But it seems there was actually an injured person that probably did have some kind of head or back injury. 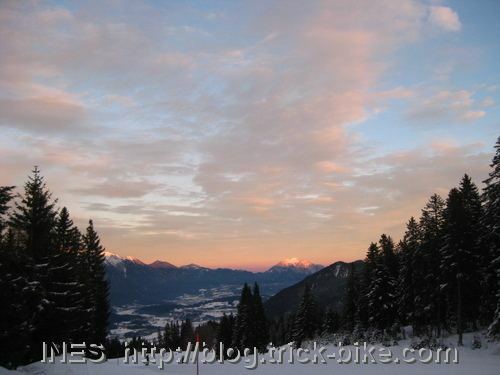 At the end of each day we do the long ride from the far top of the mountain to the valley. Each day we had a great sunset. Today it was really nice with the clouds in front of the Dobratsch mountain. My mother thinks my hat is funny. Well actually a lot of people think my hat is funny. When I walked into the supermarket in search of my father all the employees of the supermarket started pointing at me and laughing. It is nice to see people smile after looking at me. And the reactions are astonishing as in China it is more normal to walk around with a funny hat, like for example a panda head hat. For New Years Eve we had a nice dinner with my parents. Then we watched the very old classic movie „Dinner for One“. Same procedure as last year? Not for us. 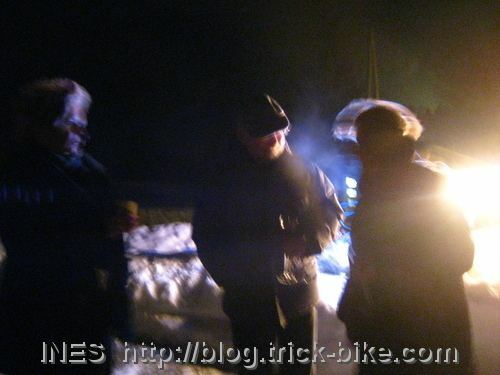 Then we played cards – that is like „Same procedure as yesterday“. At midnight we opened champagne and cheered. 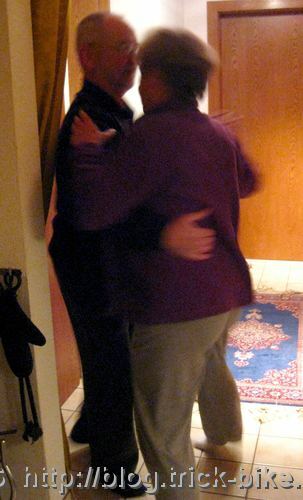 Then in Austria the radio plays the New-Years-Waltz (Kaiserwalzer) so my parents and we danced the waltz in the apartment. 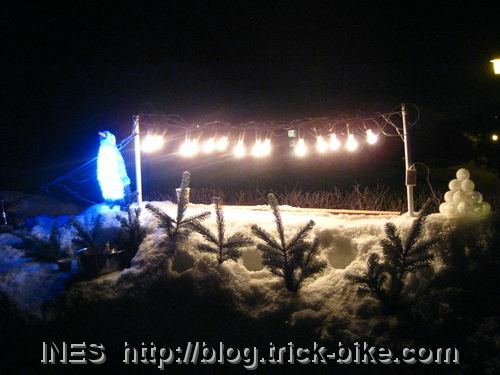 The neighbors had made a snow bar and put some lights. So we went down and watched the fireworks still drinking champagne. 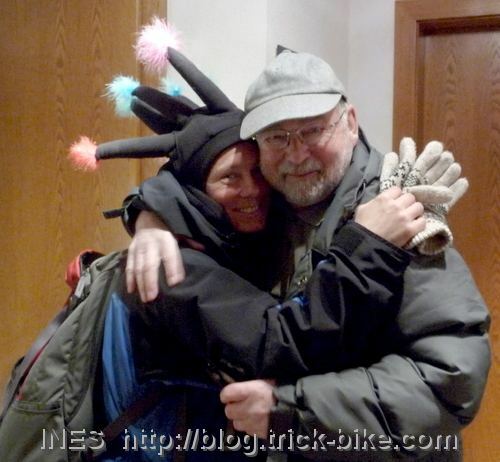 Our neighbor said it is much better to drink with a German physicist that opened a bike shop in Beijing than celebrating New Year with thousands of people in Berlin at the Brandenburger Gate – none of them have a bike shop in the country of the bicycles. This entry was posted on Freitag, Dezember 31st, 2010 at 23:59 and is filed under Austria, Outdoors. You can follow any responses to this entry through the RSS 2.0 feed. Both comments and pings are currently closed.